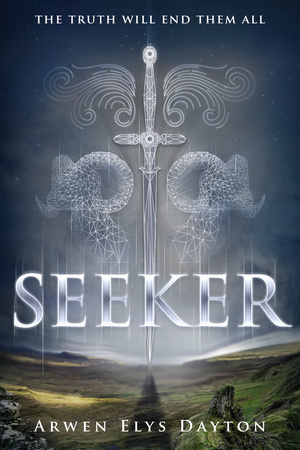 Seeker combines the occasional bit of mild racism with bland, cliched writing that forces itself to be witty and is not at all well served by the shifting of narrative voices. The book has an interesting premise and a lot of potential it simply didn't begin live up to in the first few chapters. I wish I could give this book more than a few lines as to why I didn't finish it, but frankly "mild racism" is enough for me to go full stop not reading this. It might actually go on to be a really great book past those stumbling chapters I read, but I point blank cannot be bothered enough to care. I'm not sorry. Now, I know lots of people didn't like this book (I thought it was okay, but totally get why people weren't fans), but I'm trying to remember the mild racism and I can't. Definitely not saying it's not there - It's actually kind of disturbing to me that I missed it (or at least forgot about it, if I didn't miss it)! What parts did you find to be racist?